Beautiful wedding dress with layers, I loved it! 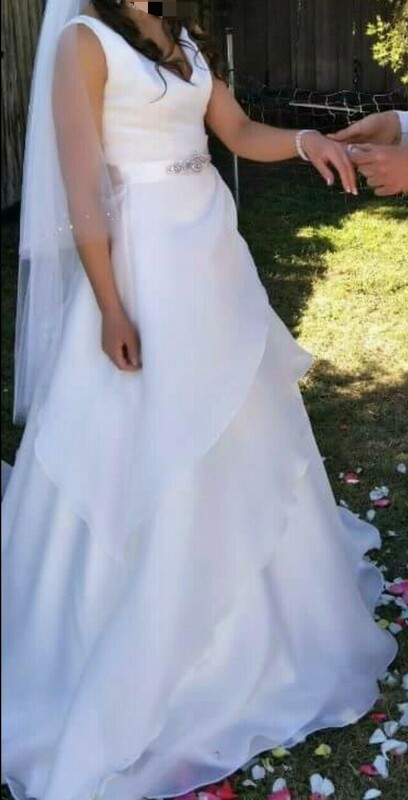 Belt and veil in pictures included. Used but in great condition. Comfortable fit. Dress or items sold separately and their prices can be negotiated. Tightened the straps around the shoulders and lifted the bottom to make the perfect fit.